A. S. Borlaff et al. The Hubble Space Telescope has been humanity's big eye in the sky, peering into the unknown for nearly 30 years. Since its launch in 1990, it's delivered countless mesmerizing and now-iconic images of the universe, allowing us to better understand and visualize the great beyond. 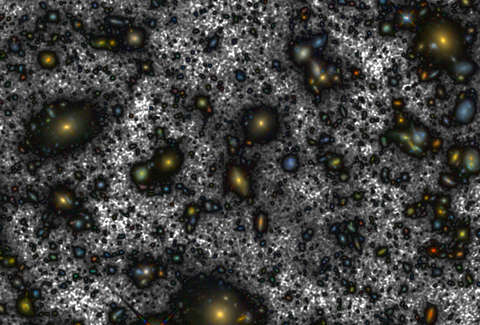 Now, it's provided perhaps the most enlightening view to date, with the release of what's being described as "the deepest image of the universe ever taken from space." 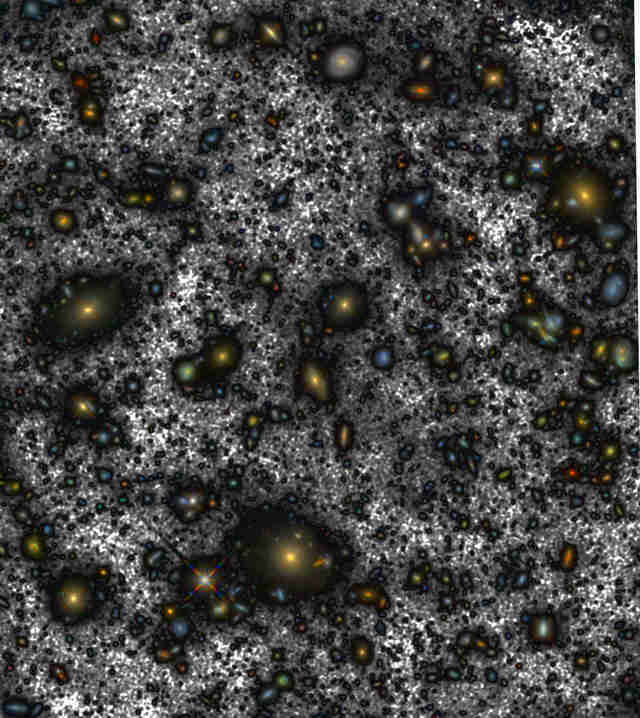 The new image, which was produced by a team of researchers at Spain's Instituto de Astrofísica de Canarias, is actually a composite of hundreds of images previously taken by HST of a region of the sky known as the "ultra deep field," which have been upgraded and pieced together using improved image processing technology. Specifically, they were able to use new technology to "recover light" to better illuminate certain areas. "Recovering this light, emitted by the stars in these outer zones, was equivalent to recovering the light from a complete galaxy (“smeared out” over the whole field) and for some galaxies this missing light shows that they have diameters almost twice as big as previously measured," the researchers wrote in an article accompanying the new image. In short, the new image is unlike any other you've probably seen from the HST, and reveals some parts of the universe that were previously essentially invisible to us. It's equal parts beautiful and hypnotic. And you thought seeing a pic of us all from 71 million miles away made you feel small.